Promote your business or organization at our event! Table sponsorship is $1,000 per table and will provide full access to the day's festivities. Table sponsorship is an excellent way to promote your products or services, while also providing financial support to those to those living with PD in the Upstate. Table space is limited. Use the form below to submit your registration today while tables are still available for this year's event! Questions? 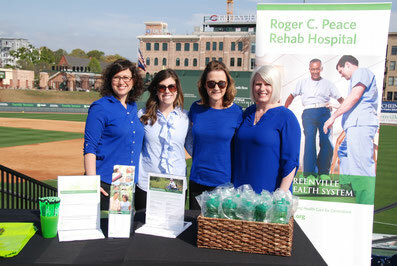 Go to the About Strike Out Parkinson's Day page or call 864-905-2574.